Thick, dark and rich.. it lingers on your tongue. 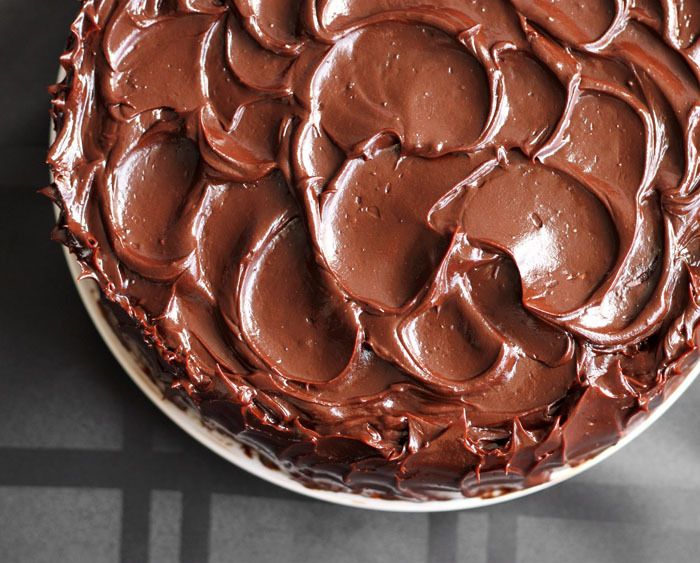 A fudgy frosting begins with plenty of chocolate. Then we add butter, just enough brown sugar and an ingredient that you wouldn't normally assume... WATER. Easy! Well chocolate is great for giving a fudgy texture because it is firm. It is solid. But, because it is so hard at room temperature and even snappier when chilled, we need to soften it up a tad so that it is spoonable or forkable but still with a chewiness. Water will add the fluidity that we need to make this ultimately fudgy. Also, no air. We need not whip this frosting which means no mixer required. All you need is a pot and a spoon to stir for smoothness, and time. 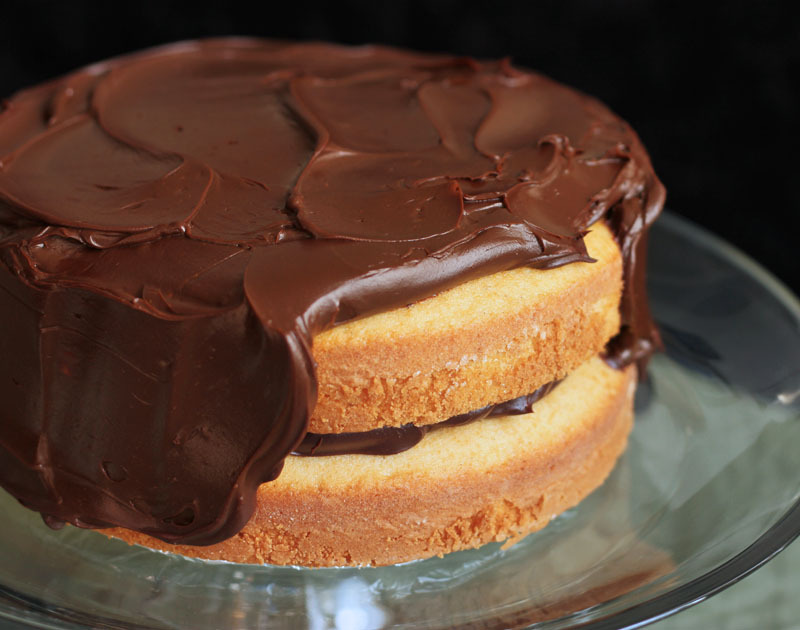 Patience will turn a molten pool of chocolate into thick spreadable. Add up to 4 tablespoons of sugar depending on your own taste. More sugar will make the texture softer. Let it cool slowly at room temperature and stir every 15 minutes. If your patience runs thin, you can refrigerate it but you must stir more frequently so it doesn't set solid. 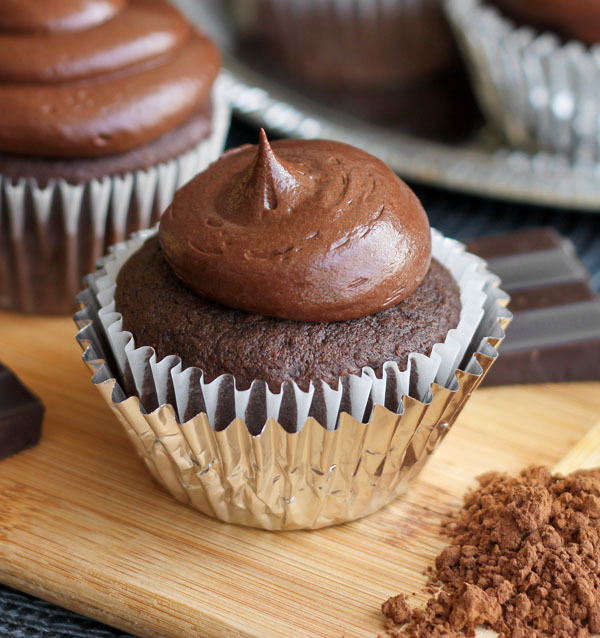 Enjoy your chocolate heaven whether it's light and creamy or thick and fudgy. Whisk together water, brown sugar, corn syrup, cocoa powder and salt until smooth in a medium saucepan. Place the pan over medium-low heat, add half of the butter and cook until the butter is melted and the mixture comes to a boil, whisking constantly. Once it comes to a boil, remove pan from the heat and add the chopped chocolate, swirling the pan so that all the chocolate comes in contact with the hot liquid. Let stand for 3-5 minutes to gently melt and then whisk until smooth and glossy. Whisk in the remaining butter, one tablespoon at a time, until evenly blended and smooth. Set the frosting aside to cool at room temperature until it is thick and spreadable, about 1-2 hours, stirring every 10-15 minutes. 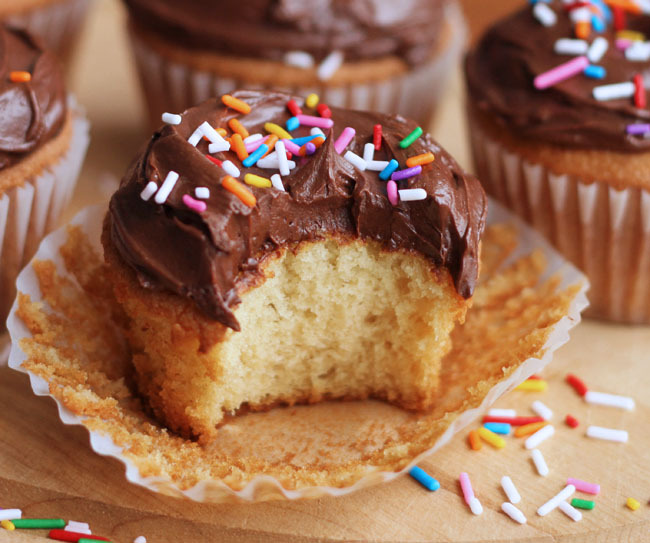 This is the BEST fudge frosting recipe I have tasted in a very long time. Great chocolate flavor! Hey, just wanted to say that I’m already drooling! Can I use honey instead of corn syrup? I'm drewlling..
Hi! Yes, you can use honey here.